A familiar face took the pitch for the Colorado Rapids on Feb. 18 in the Desert Diamond Cup preseason tournament against the New England Revolution. Attacking midfielder Tony Cascio entered the game as a guest player for Liam Callahan 30 minutes in, and made an immediate impact, recording one assist and setting up another goal in the first half alone. 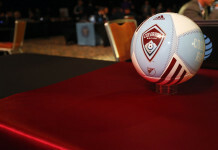 The 26-year-old Cascio was the Rapids’ first-round pick (14th overall) in the 2012 MLS SuperDraft. He played often for the Rapids, making 42 appearances under head coach Oscar Pareja during the 2012 and 2013 seasons; netting four goals during that span. He holds the distinction of being the first player in MLS history to be loaned within the MLS. The Rapids loaned him to the Houston Dynamo for the 2014 season, where he made six appearances. 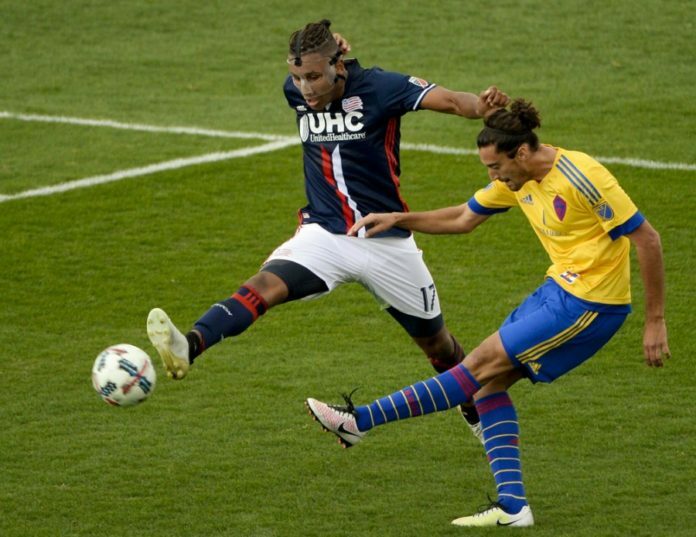 The then newly formed club Orlando City SC grabbed him from the Rapids in the second round of the 2014 MLS Expansion draft, but he never made a regular season appearance for them due to a bulging disc injury. After not being offered an MLS contract for the 2016 season, Cascio signed with the USL team Phoenix Rising and is now taking steps toward his MLS comeback. After the Rapids had surrendered a goal 19 minutes into the match, Cascio came in and provided an offensive spark that the Rapids had lacked all game. He was able to set up Caleb Calvert for his first of two goals of the afternoon in the 44th minute with a cross from the bottom right corner. A minute later, he got to the ball just before it went out of bounds and sent it into the penalty area, where it deflected off Calvert and settled at Dominique Badji’s feet. Badji sent it into the back of the net. While he played well in the 3-1 victory, the Rapids currently have a logjam at the midfielder position. 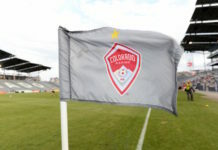 Dillon Powers, Sam Cronin and Michael Azira are all returning after starting more than 20 games last year, and the Rapids also hope to get Dillon Serna back from his ACL injury early in the season. They’ve also brought Bismark “Nana” Adjei-Boateng in at midfielder from Manchester City, so he’ll have to make quite an impression for the Rapids to think it worthwhile to buy him out of his USL contract. Cascio has only a few more games to showcase his ability in the Desert Diamond Cup. 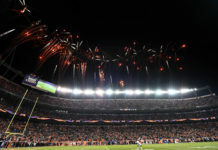 Their first is against New York City FC on Feb. 22 at 11 a.m.